Realizing that there are at least two types of American stories, American Horror Story creator Ryan Murphy is launching American Crime Story, an FX anthology series that tackles true crime with the same sober, reserved touch he’s brought to fictional scenes of people impaling each other. Fittingly, the show—which already has a straight-to-series order of 10 episodes—will begin with a case that has plenty of psychosexual drama, knife-wielding psychos, and uncomfortable racial undertones built right in. American Crime Story: The People Vs. O.J. Simpson will be based on Jeffrey Toobin’s The Run Of His Life, with The People Vs. Larry Flynt screenwriters Scott Alexander and Larry Karaszewski drafting a script that will revisit the Simpson case from the perspective of the lawyers, whose bumbling antics and spoiled children have kept us entertained for decades now. Like American Horror Story, each succeeding season of American Crime Story will take on a different true crime story, which should turn the annual ritual of Murphy dropping hints into an even more morbid guessing game. 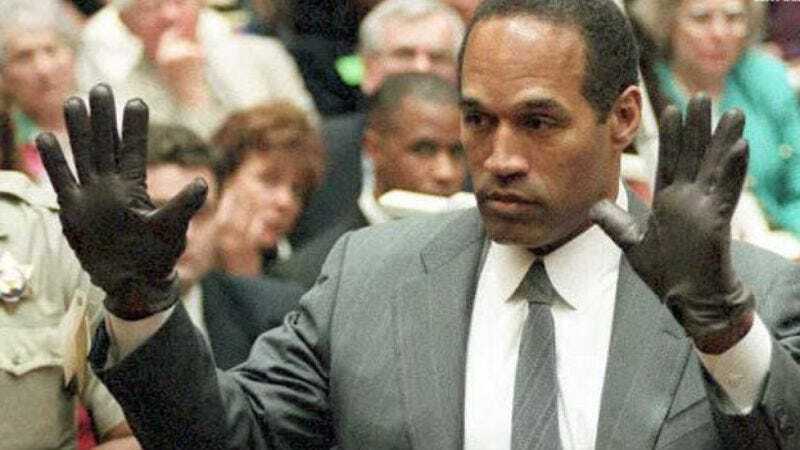 Unlike American Horror Story, it’s believed Ron Goldman and Nicole Brown Simpson will remain dead for the entire season (though maybe don’t rule out a musical fantasy sequence).